Hello friends, Latisha here! 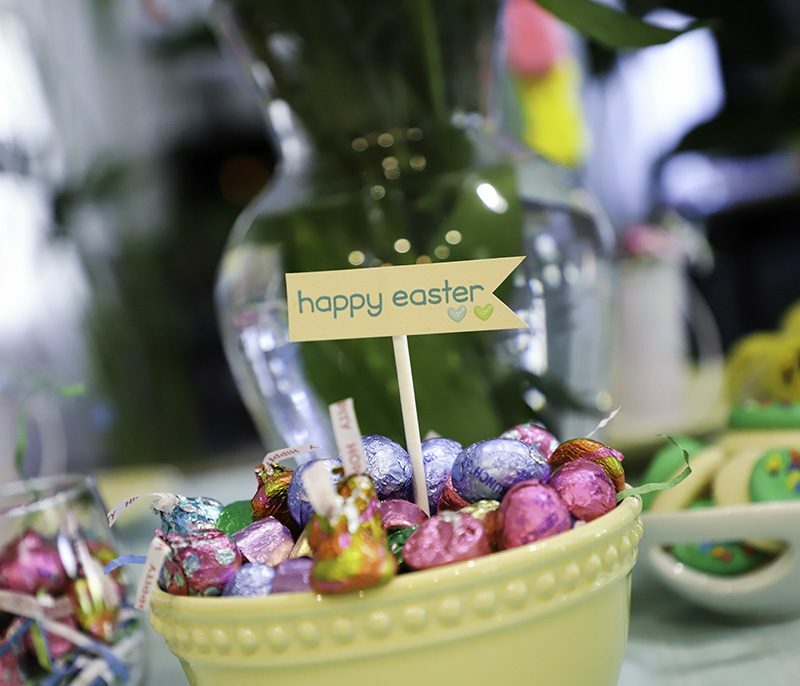 Today I am sharing with you a really inexpensive and creative way to dress up your table for Easter. knowing they could be made for cheap. 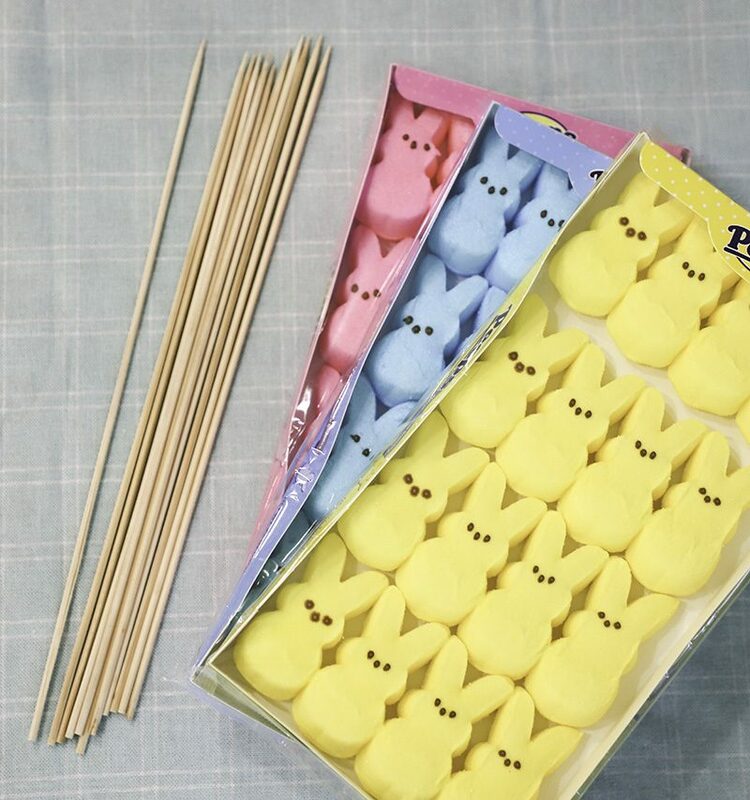 To start with, find marshmallow candies, and wooden skewers. skewer from slipping around. 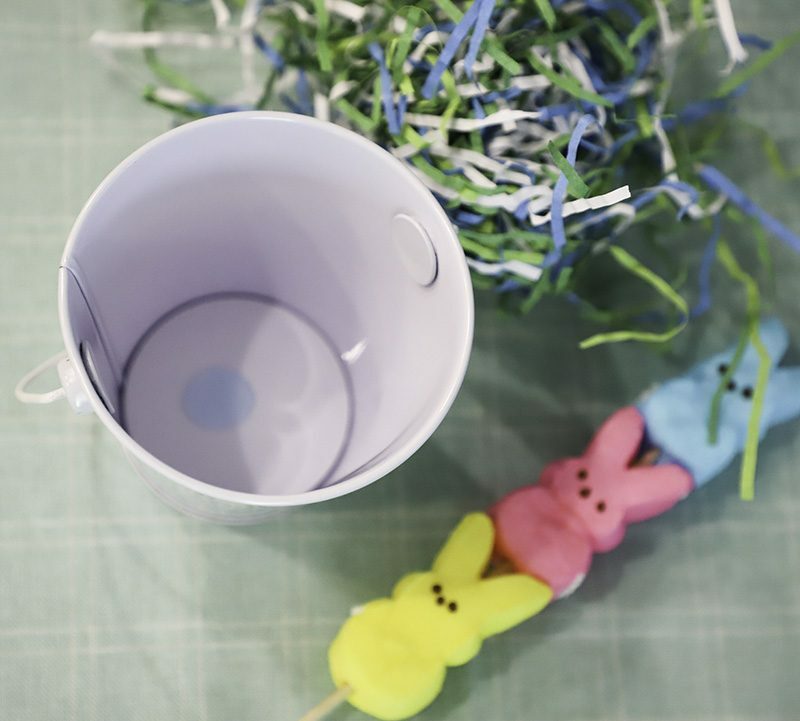 Once you fill the tin with the paper filling, it will keep the skewer from falling over. To embellish the skewer, I added a butterfly diecut from Lawn Fawn. It is the perfect touch. Fill a bowl up with candy. 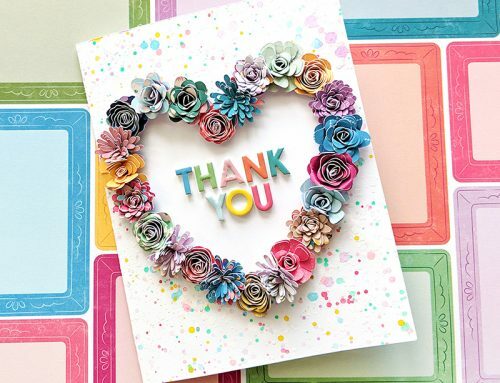 Stamp a sentiment onto pattern paper, trim and then adhere to a lollypop stick. Stick into the bowl of candy. And now you have a fun sentiment for the table to see. 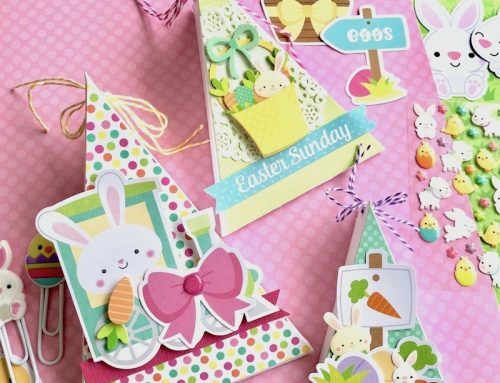 Stamp another sentiment onto pattern paper as well as Easter Bunnies from the Lawn Fawn Eggstra Amazing Easter stamp set. 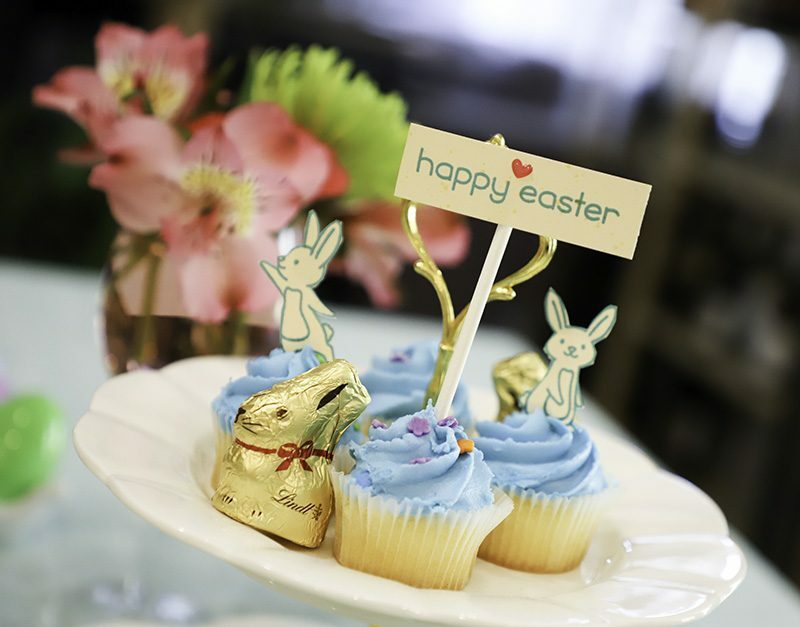 The bunnies were stamped, cut out and then placed into the frosting, and the sentiment was placed onto a lollypop stick. Make several place settings using the skewers and tins. 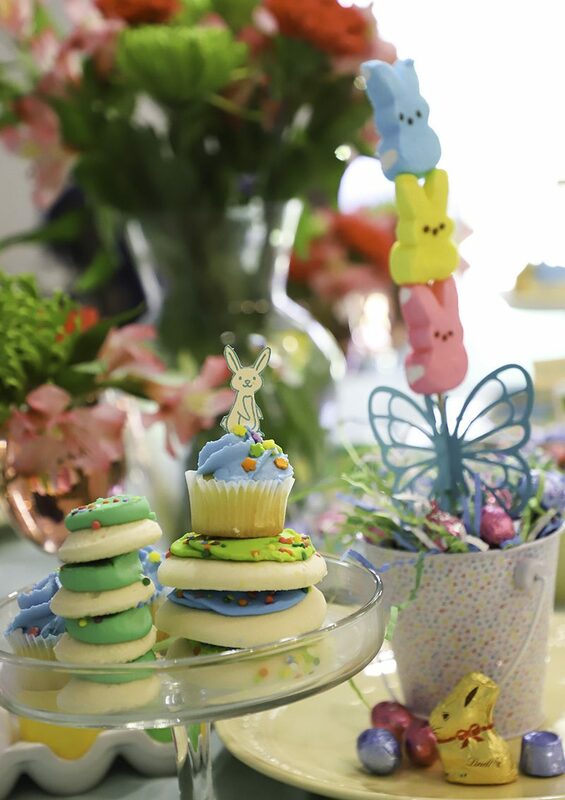 Top the tins with candy for an extra little treat. red food coloring to the flowers water in the wine glasses for an added touch. 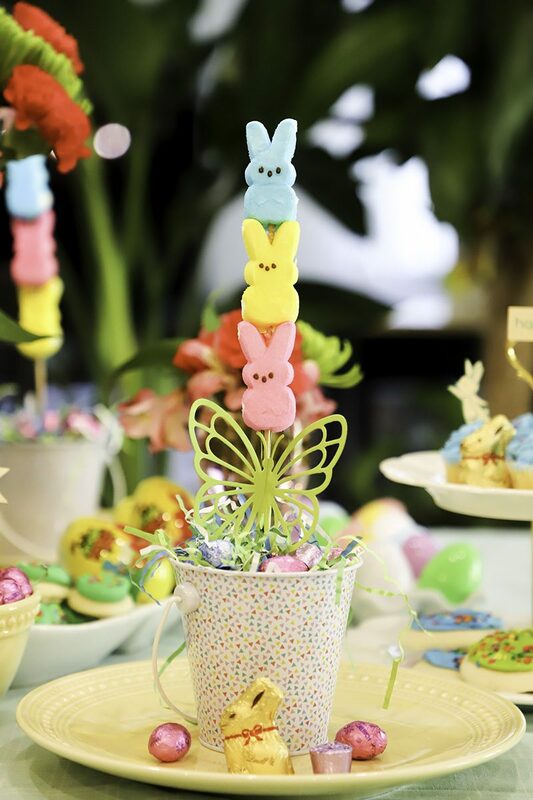 These skewers have butterflies at the bottom, but a fun touch would be to letter someone’s name onto cardstock and add it to the bottom of the candies for a personalized place setting. 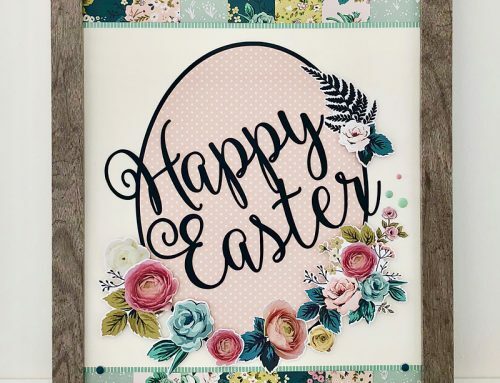 Happy Easter from all of us at Scrapbook & Cards Today Magazine! 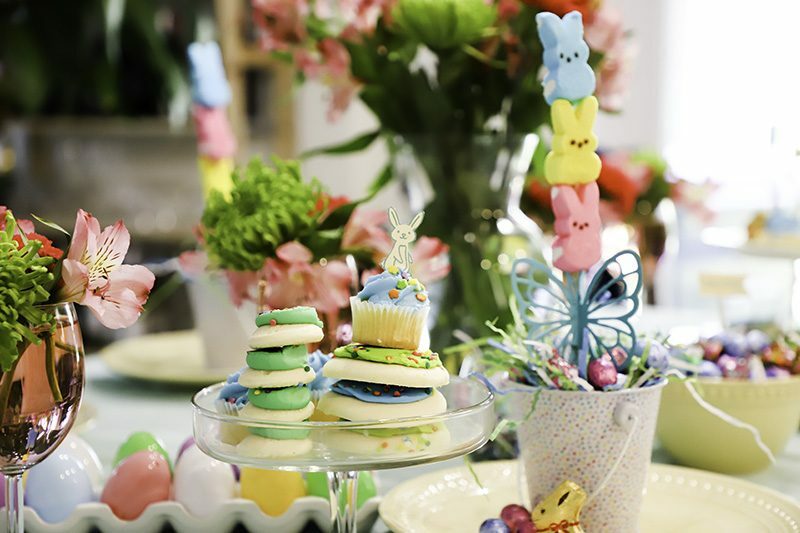 Easter Treat inspiration with Virginia Nebel! OMG! Seriously cuteness overload! Love this idea. Thank you for sharing. 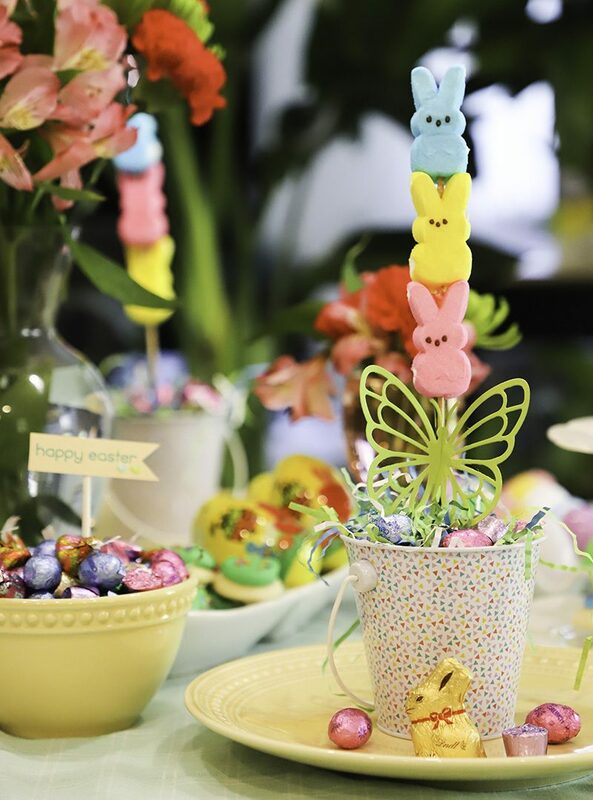 Love these fun & colorful, easy to do ideas!!! Looks like it would be easy and fast. Great Idea. Thank you. 5 Things We Love about Simple Stories! 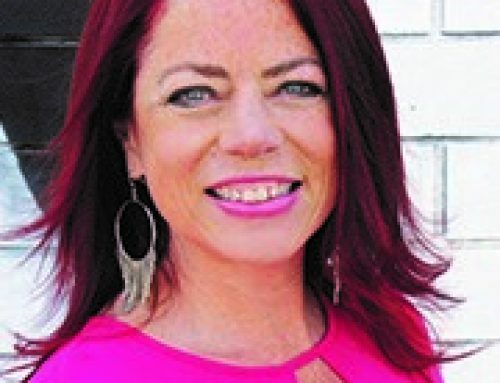 DIY embellishments with Nicole Nowosad! Spring issue free content review! 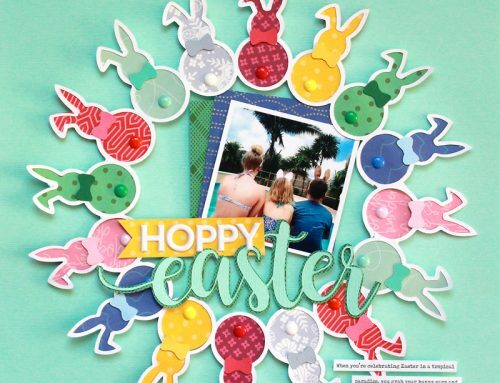 Create fun cards with your SCT Sampler and Crystal Thompson!